If you want people to get behind your organization's priorities and make them their own, then you have to sell them on your vision. 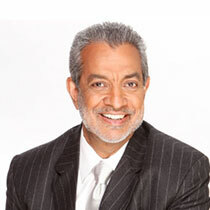 Dr. Sam Chand shows how. If you want people to get behind your organization's priorities and make them their own, you first have to sell them on your vision. William Bridges, a noted expert on change and transition, says that people won't understand the solution you're proposing (your vision and priorities) until they understand the problem. It's a leader's job to provide them with the guidance and the information they need to understand what needs to happen and why. Getting people engaged with a vision and priorities involves more than making an announcement or holding a meeting or two and expecting them to get it. You have to communicate persuasively; you have to sell them on the vision just like you're speaking with investors. You have to cast your vision, like you'd cast a line to get a fish. Getting people engaged with a vision and priorities is an art known as vision casting. Keep it simple: Articulate the vision and priorities in terms that people understand. Keep it as simple as possible. The simpler the better. Use short sentences and short words. You're really aiming at making it digestible. Make it memorable: Work at making the vision easy to remember. My vision, for example, is "Helping others succeed." Your vision should be short enough to fit on a tee shirt. If it doesn't fit, it's too long and people won't remember it. Have a stable vision: Over time, your vision and priorities will expand. But the essence shouldn't change dramatically. If you're continually making significant changes to your vision, it changes the organization too much and confuses people. Be patient: Most important, give people time to catch on. When you have new priorities, you have to allow people time to engage with them. Remember that by the time we unveil new priorities to the organization, we've been living with them for quite some time. We've had time to engage with them and make them part of us. Too many leaders make the mistake of thinking that people should get the priorities after a few staff meetings. It doesn't work that quickly. Your people are just beginning their own journey with the new priorities. Be patient with them and always find ways to help them to become engaged with the priorities and the vision. If you want an example of an organization that's realizing the benefit of having people engaged with a vision and its priorities, look at the Web retailer, Amazon.com. Their vision centers on creating the world's most customer-centered company, where people can find and buy anything online. One of Amazon's priorities, according to CEO Jeff Bezos, is conserving money for things that matter. All of their desks, even the ones used by their executives, are modeled after the one Bezos built for himself from a door, a few metal brackets and sawed two-by-fours when he started the company. That's one creative way to communicate a priority! Some of the things that Amazon does seems like they’d lead to decreased sales. If you've ever visited their website, you know that people post online reviews of products that Amazon sells. In some cases, the reviews can be pretty negative. Bezos says that when they started doing this, people told him he didn't understand much about business. In his mind, however, enabling people to post online reviews is fulfilling Amazon's vision, because it assists customers in making purchasing decisions. Did you know that Amazon even warns customers when they're about to purchase a CD that they previously purchased from the site? For many companies, that might seem like another example of poor business sense. To Amazon, it's implementing one of the essential priorities of their customer-centered vision. Like Amazon, you can find strength by recognizing the priorities that are aligned with your vision, focusing on those few essential priorities, and becoming the best by focusing your energy on only a few things.